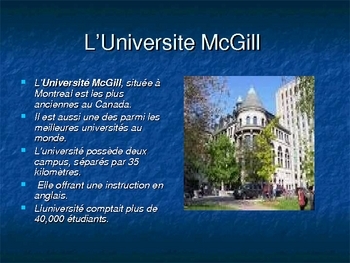 This is a ten frame powerpoint in French. 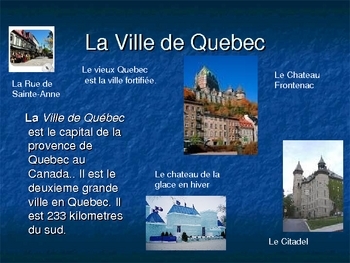 It offers a look at the province of Quebec in French Canada. It has many pictures and gives information about this unique province. There is an assignment as well. It would be a good resource for a teacher of French.